This piece has been updated from its original publishing date on July 2013. Without external support, building a successful startup can be next to impossible. Entrepreneurs need a positive work environment, stable infrastructure, a friendly support system, and a lot of inspiration. This is what coworking spaces are offering teams today, all in one location. We’ve collated the coworking spaces across MENA which are oriented purely towards coworking - so that means no soulless office spaces or spaces with membership restricted to incubated startups only. They offer varying levels of services, from a simple deskspace to a vibrant community of events. Let us know in the comments section below if you've made any of these spaces your working home, or if there are other spaces you enjoy that may not be on the list. Locations are listed by alphabetically and by country group. The countries we've found coworking sapces within are: Algeria, Egypt, Iraq, Jordan, Kuwait, Lebanon, Morocco, Palestine, Tunisia, the UAE and Yemen. All images come from the related coworking spaces. 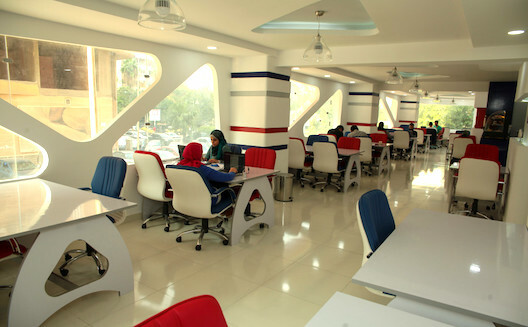 Launched in April 2016, this coworking space located in Mohammadia Mall is open to entrepreneurs and freelancers. The space can sit up to 45 people and coworkers have access to a living room. This space offers several pass options, from a half-day visit to a full-month pass. Mon Atelier is a small coworking space with a cozy at-home vibe, which opened in March 2016. Entrepreneurs, freelancers and students can choose between different plans: coworking by the day or the month. Basic packages offer free coffee and tea while more comprehensive offers include a dedicated phone and other services. Users can also rent the meeting room. 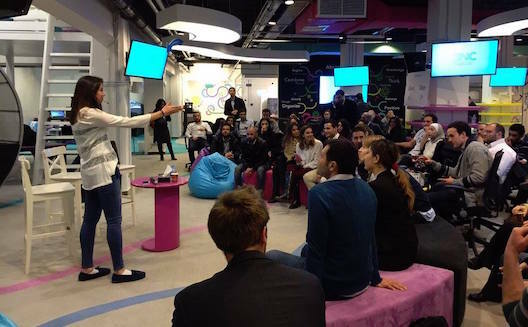 Sylabs opened in early December 2015 to give the Algerian tech and innovation community a place to network, organize events, and attract new people. Located just a two minute walk from the majestic Grand Post Office in the heart of Algiers, the large space aims to organize events and foster the entrepreneurial ecosystem. They also offer a GE-backed makerspace and 40 coworking desks. Passes are available for one day, for after work (after 5pm and on Saturday), and for longer periods of time. 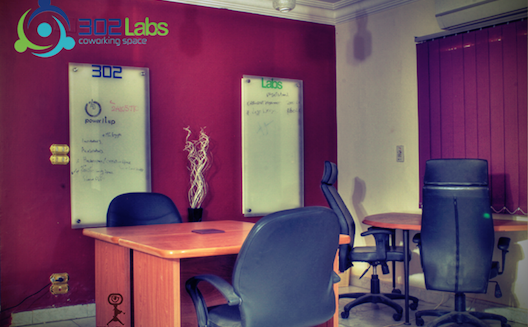 Opened in 2012 in the suburb of Nasr City, 302labs offers a place for young startups and freelancers to meet, cowork and brainstorm. Complete with work spaces, meeting rooms, break rooms, free refreshments and lockers to store your things, the space also boasts an ‘entertainment room’ with a TV, Xbox, board games, and darts for when you really need a break. Users can host business meetings, attend talks and events, as well as hackathons, workshops and other activities in the space. Al Maqarr opened in July 2012 to be a workspace and meeting place for entrepreneurs, students, NGOs and other creatives. Coworkers can use the shared and private offices, meeting and conference rooms, and study areas. The space often hosts workshops and talks for users. BusinessYard opened in July 2013 in the Dokki district. Coworkers can sit in shared or private office spaces, and have access to the terrace, lounge, meeting room, ‘phone-zone’ and recreation room. They can choose between a community membership with 80 hours of coworking per month, or a full-time pass. This space offers extra services like a private locker, postal services, and a dedicated telephone. BusinessYard also offers four-to-ten week training programs for startup teams, called Startup Academy. 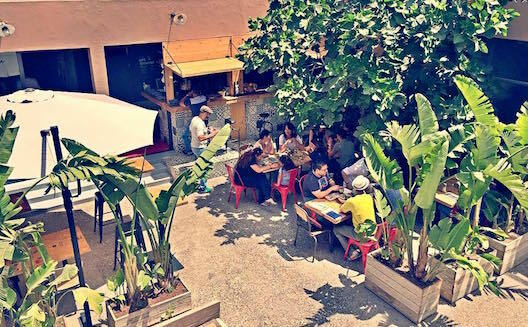 Chefchaoun is a coworking space that opened in January 2015 and is based on a strong social mission, hosting social impact initiatives and student activities. 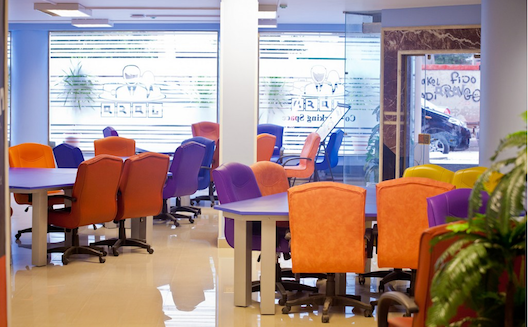 Also based in Dokki, they offer 21 desk spaces, four meeting and lecture rooms, a sound studio and an entertainment room. Coworkers can rent by the hour or the month. 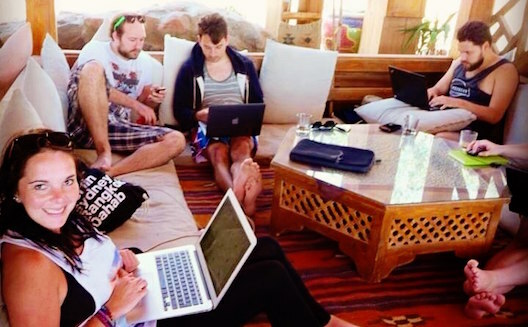 Located by the sea in the ‘hippy village’ of Dahab, CoworkInn is a coworking space for foreigners and Egyptians looking to get away from the main cities. This space is not focused on entrepreneurs, it’s open to anyone, from students to freelancers. Instead of workshops and work events, they organize yoga, diving, kitesurfing, windsurfing, and climbing sessions. 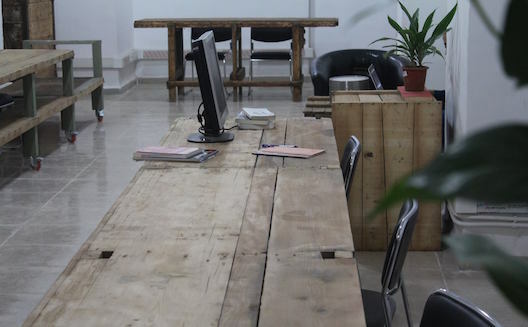 Launched in early 2012 in downtown Cairo, eco-friendly coworking space Icecairo is the third installation of Icehubs, an international coworking space brand. Icecairo focuses heavily on sustainable and green startups. The icecairo downtown hub recently moved to the GrEEK campus and has a coworking space for up to 30 people and a fully equipped hackerspace. They organize numerous green and DIY workshops and events, and are starting to offer an elearning platform. A second branch, Icealex, opened in Alexandria in February 2013. Coworkers can work from this space by the hour, day or month. Up to 20 people can use the facilities that include a lecture and a meeting room. Launched in January 2014, M3mal offers a colorful and comprehensive space including open desks, private offices, a lecture hall for up to 50 people, meeting rooms, and an entertainment room with an Xbox Kinect. The team offers free coffee and tea all day long, consultancy services (legal, financial, marketing), and unique events. Coworkers can come for just a day or sign up for a monthly plan. 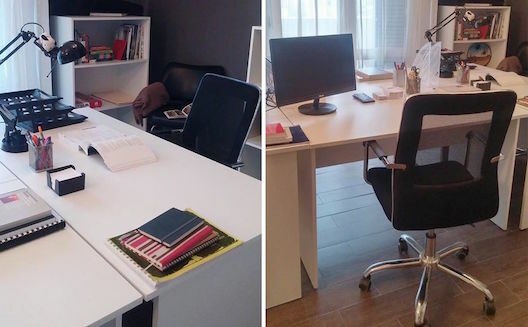 Located in Heliopolis since May 2015, entrepreneurs can either rent a private office or a desk in the open space. For a bit more, they can have a snack or drink at the coffee lounge, book a meeting room, and benefit from various services like lockers, a phone answering service and company logo in the reception panel. 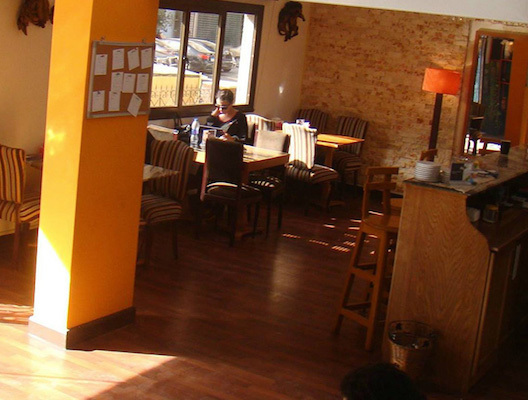 Launched in February 2012, The District now offers two spaces in Cairo: the original in El Maadi, which grew from a 425 square meter to a 1,000 square meter space - and a brand new location in 10th of Ramadan City. The quality of their activities lead The District to become an essential part of the Cairo startup scene. The original space offers individual workspaces, large meeting rooms, lounges, a library, a kitchen, and a rooftop terrace. 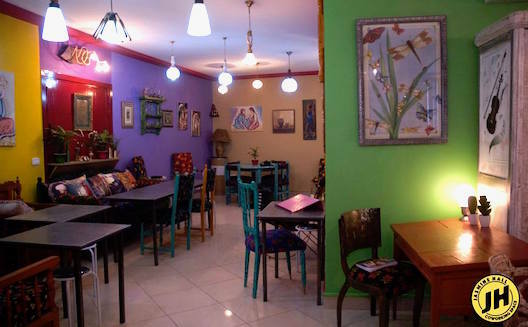 It now hosts cultural events - bands, stand-up comedy shows, movie nights, and more - and a café, operated by Cairo Deli. 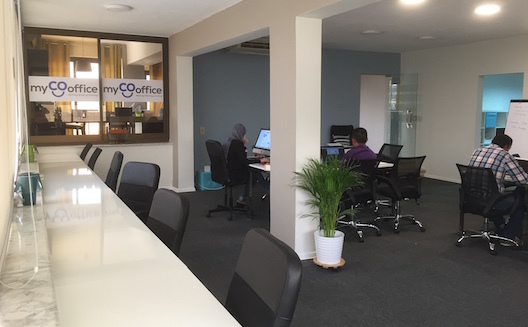 This space launched in April 2015 in Nasr City, Cairo offers 16 open desks and four private offices. They have several conference and meeting rooms that can accommodate from four to 40 people. Coworkers have access to an entertainment room with PlayStation and XBOX. Users can pick between daily and monthly passes. 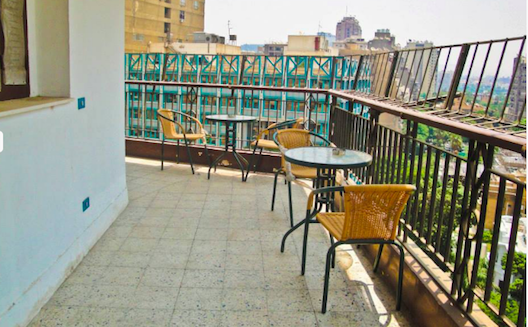 This space launched in November 2015, in the heart of Alexandria, Egypt can host 50 coworkers. When they don’t have a workshop or talks scheduled, Workstation’s team rents our their meeting and lecture rooms. Coworkers pay by the hour, and can register for company plans to include multiple team members. Fikra space is an open hackerspace where creative people interested in computers, technology, science, and art can meet, socialize, share their knowledge, build new things, and collaborate. They space is closed for now, but is looking for a permanent space to relaunch their initiatives. Launched in November 2014, ZINC acts as a specialized center through which Jordanian telco Zain Jordan manages all of its entrepreneurship initiatives. Among them is an incubator and a coworking space housed at ZINC. 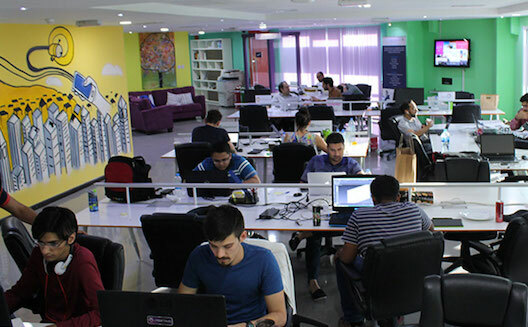 Anyone can just show up and work, free of charge, but the space also hosts companies being accelerated by Zain Jordan. 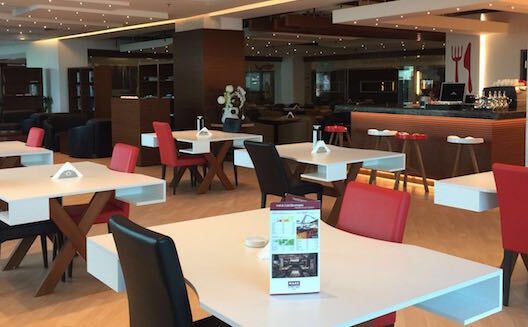 The famous Dubai-based coworking/café space MAKE Business Hub now has a franchise in Olympia Mall. Opened early 2016, it works as a café with office supplies. It currently hosts third party events, accommodating up to 150 guests per event. Starting September, their will host their own workshops and conferences on entrepreneurship, creativity, and technology. 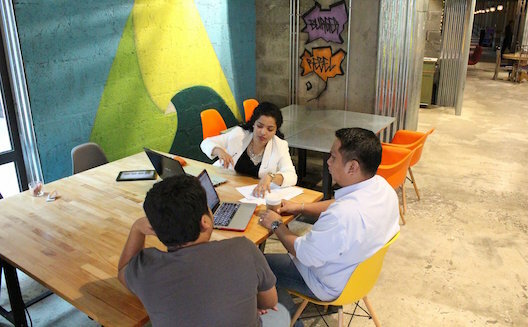 This coworking space launched in December 2015 and also offers incubation and acceleration for entrepreneurs, as well as training sessions and workshops, events and talks. Mefazec plans to kick off its acceleration and incubation program by the beginning of the summer. They have a private fund of 300,000 Kuwaiti dinars (USD$1M) each year. 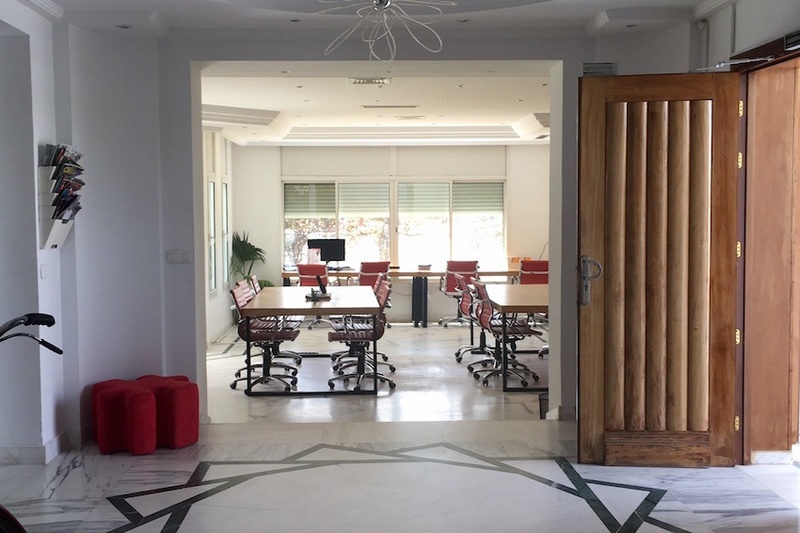 This coworking space launched in 2015 to offer several services for its tenants such as secretarial services, beverages and conference rooms, as reported on Nuwait. Throughout the year, the space has been hosting a lot of talks and meetups for the community. Startups and SMEs can chose one of several monthly memberships, and access secretarial services. 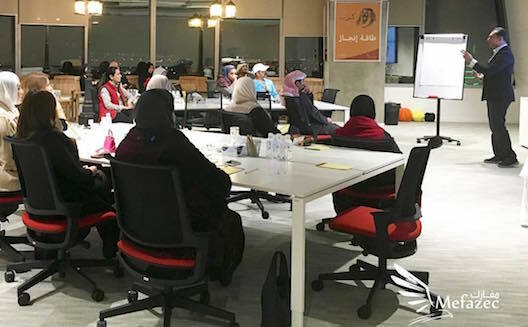 Sirdab Lab is a startup hub launched in April 2014 offering entrepreneurs access to a network of mentors and investors, providing them with a working space to develop and grow their business. The space is also a platform to educate founders through events, workshops and other training programs in a venue accommodating up to 70 people. Entrepreneurs can come to the café to work, but the space also has 10 desks available, a large coworking space table and a meeting room. 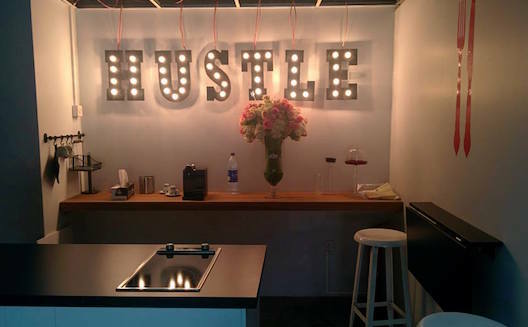 This coworking space funded in June 2013 is probably the one in this list with the most style. As if being in one of the old Sursock palaces in Beirut wasn’t charming enough, it has a huge but quiet garden. The space, supported by entrepreneurship support program Bader, is in the process of being relocated. 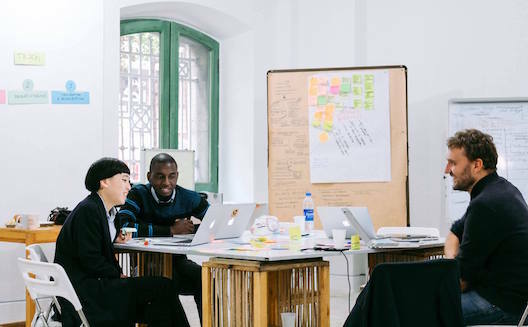 In June 2015, the Moroccan Center for Innovation and Social Entrepreneurship (MCISE) geared up and opened its own space to host its acceleration program and offer Rabat a space where innovators, from the impact and tech entrepreneurship scene, can meet and collaborate. In this 250m2 space, 20 desks are reserved to incubees and 30 to outside entrepreneurs, who can pay by the day, the week or the month. Coworkers can have access to lockers, meeting and training rooms, a kitchen, a lounge, a terrace, and a makerspace. They organize trainings and talks every week. Launched in 2016 by a seasoned web entrepreneur with the help of cofounder of French accelerator 50 Partners Pascal Chevalier, Emerging Business Factory is anambitious space dedicated to tech and media innovation. Renovated and decorated by a renowned designer, Hicham Bnoussina, this former textile plant in the industrial district offers 120 workspaces with fiber optic connection and an in-house restaurant. In the upcoming months, a sky farm, an experimentation lab for urban farming, will open on the rooftop. An incubator is also in the space’s pipeline. 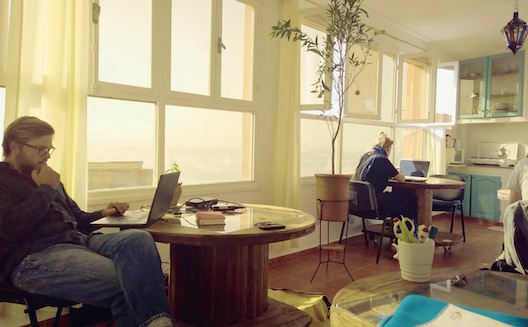 Launched in 2013, this coworking space quickly became a key player in Morocco’s startup scene. 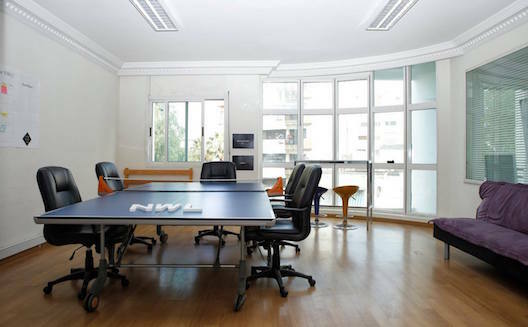 Three years on and coworking is no longer NWL’s main focus; now the team calls it a “change instigator”. They focus on startup events, training and mentorship programs called New Work Class. Coworkers can book a desk or a meeting room by the half-day up to a month, and sit in one of the four rooms or on the terrace. 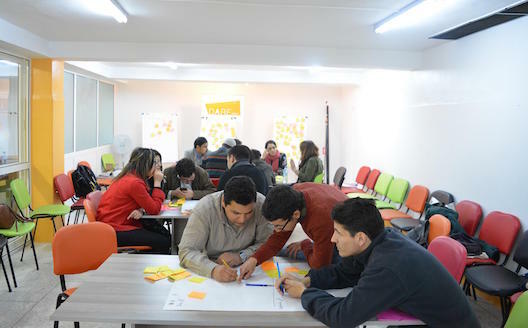 They opened a second coworking space in the small town of Khouribga, Morocco in March 2016. Located in Hay Riad this space, which opened in December 2015, aims to become the rendezvous point for startups across Rabat, Morocco. Secteur 21 can host up to 40 coworkers in the open space, and offers individual cubbies and private offices. Workers can also enjoy a meeting room, a training room, a garden to work and chill, entertainment and relaxation spaces, all with fiber optic internet connectivity. Startups can pick several pass options, starting with the half-day pass, all the way up to full-time residency. The founder plans to open an incubator, leveraging her pool of mentors to help participating startups. 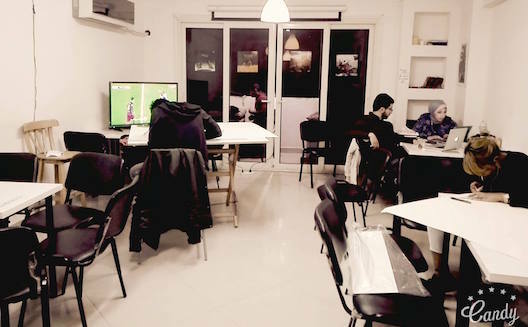 Located in a surf village 20 minutes away from Agadir, this unique space launched in late 2014 caters to freelancers, developers, founders and researchers from all around the world looking to work in a relaxing setting. Twelve desks with sea views are available. Coworkers pay by the day, can sign up for yoga and surf class, and go on day trips to local sights. The Work Factory aims to build a culture where people can bounce ideas off like-minded people, learn from other businesses' experiences, and work together to form unique solutions. Their space offers large tables and desks for coworkers, ranging from freelancers and creative agencies to tech startups and more established companies. The team organizes a wide variety of events for users and offers various packages from day and week passes to dedicated monthly desks and private office suites. 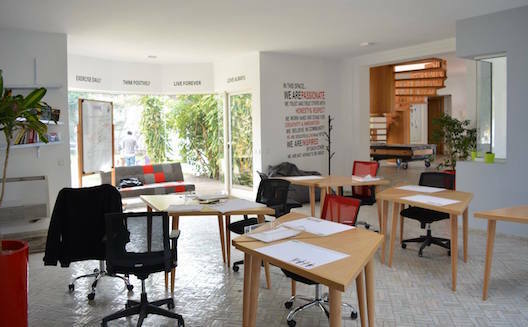 Ever since it opened in late 2013, Cogite has grown to be the startup hub in Tunis. In October 2015 they moved to a villa with a garden and swimming pool in the Lac district. The space is so large it includes private offices, a conference room, and an entertainment room. 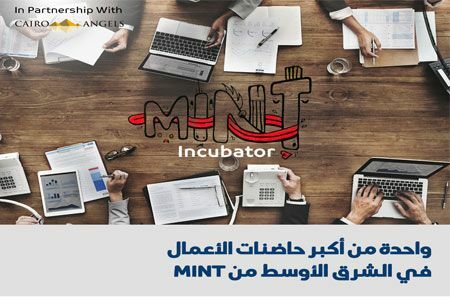 They host and organize a wide variety of events, some outside of the Tunis area, to help entrepreneurs grow and spread the word about their teams outside of the capital. They offer day passes as well as resident membership. In July 2016, Cogite made it in Forbes' 10 best coworking spaces on earth list. Jasmine Hall is an unusual space for freelancers, entrepreneurs and nomadic employees. Located in the business district Centre Urbain Nord, it has a 20-people open plan area, a nine-person office, and a 15-people meeting room. Aside from its fiber optic Internet connection, the space offers a 3D printer, a library, and company domiciliation. Coworkers can choose between different pricing, and events on a wide range of topics are frequently organized. 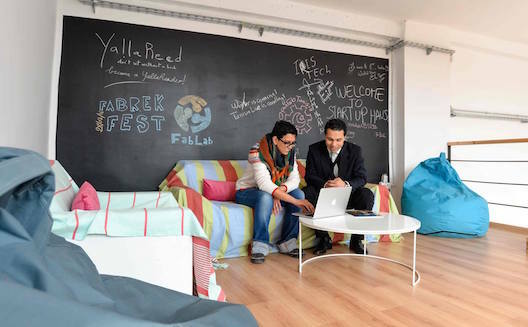 The first coworking space created by of German-MENA mentorship organization Enpact opened in Tunis on March 2016. 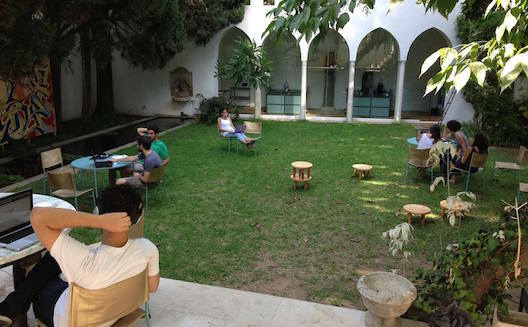 The space, located in the heart of Tunis, aims to be a hub for startup events, training workshops, and talks about the challenges facing Tunisian entrepreneurs. 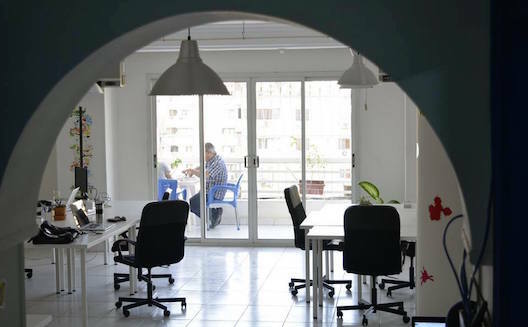 Startup Haus’ core activity will be incubation, but 90 coworking desks and office rentals are available for non-incubatees, freelance consultants and those working remotely from Tunisia. 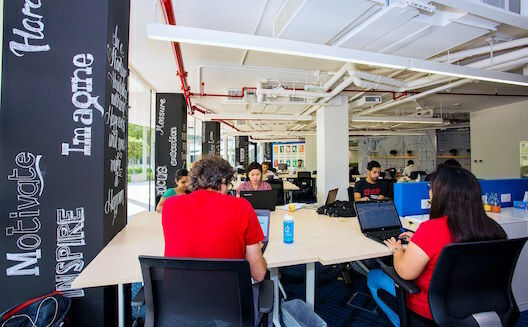 This coworking space is the fruit of a partnership between startup support organization AstroLabs, Google and DMCC (Dubai Multi Commodities Center). 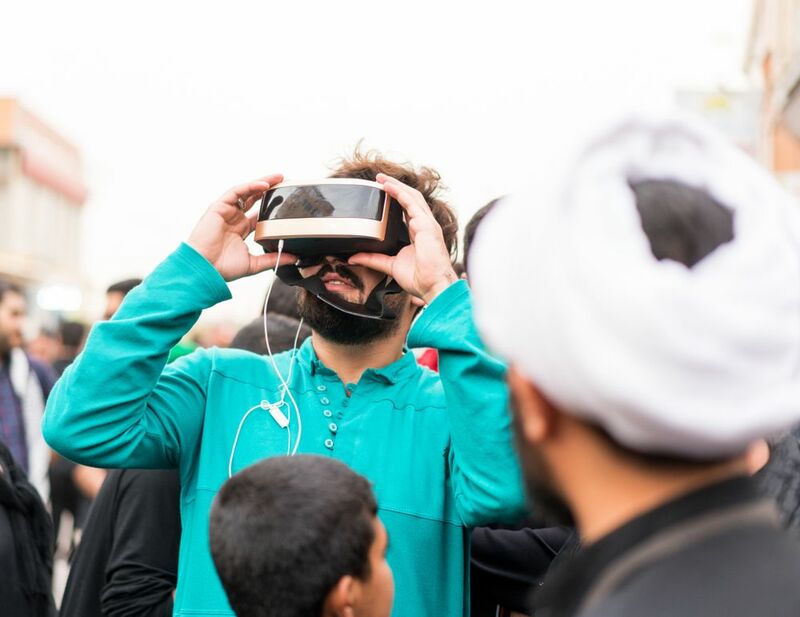 Launched on October 2015 near the Dubai Marina, the aim of the space is to support startups planning to expand outside of Dubai and international startups that are ready to tap into the MENA markets. This very large space offers a quiet area for serious programming and multiple-screen set up, a Device Lab co-designed with Google for mobile app development, a training room featuring AstroLabs Academy programming, and an indoor/outdoor café. They frequently host startup-focused events. Several monthly subscriptions are available; the more comprehensive one includes a DMCC Free Zone license and reserved desks, on-site mentorship, and office hours. 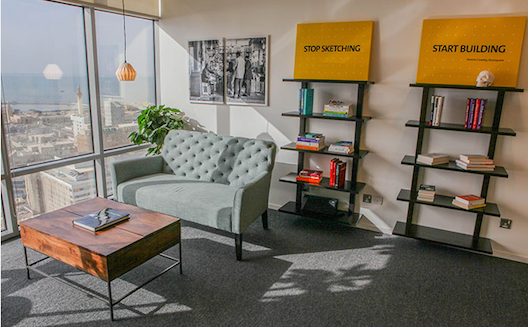 Created by the same crew that created shared offices at The Bureau, The Coworking Café opened early 2016 as an actual café in Souk Al Bahar Downtown, with meals and drinks where entrepreneurs can work by the hour or by the month. Depending on their subscription, coworkers can get access to a meeting room, have a dedicated phone line, and access to workshops and events. Launched by Innovation 360 in November 2013, the group behind the Turn8and i360 accelerators, this space, located in the industrial area Al Quoz-1, is home to these two accelerator programs. In total, 120 founders and technology entrepreneurs work from there. It’s possible to work there for free, but The Cribb offers those looking for more benefits a paid pass that includes access to more comfortable desk stations, office hours, and marketing support. Entrepreneurs can take advantage of the large space with a casual, fun vibe, complete with a lounge area, gaming corner, and conference room. 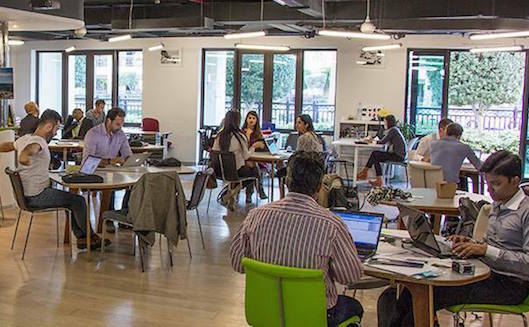 Dubai Silicon Oasis Authority (DSOA)’s coworking space launched in December 2015 offers 350 work stations. Startups can enjoy a cafe, conference rooms, game rooms, and event halls. This space is located in a free zone, which allows for the establishment of businesses, obtaining of commercial licenses, and renting of spaces without the need for an Emirati partner or sponsor. A yearly subscription gives access to at least two residence visas depending on the pass. Startups can also choose to join the DTEC incubator. Impact Hub is an active coworking space that has been organizing and hosting entrepreneurship events since 2015. 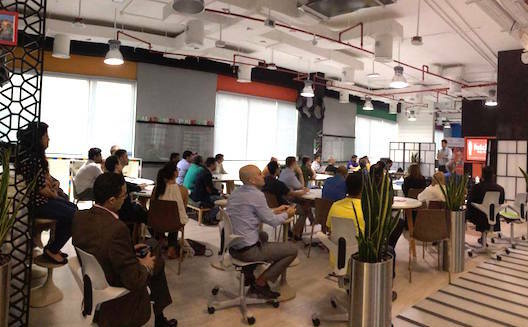 As part of an international organization with over 65 hubs around the world, Impact Hub Dubai offers access to a network of entrepreneurs, and discounts to other hubs across the globe. The space works on a membership and subscription model based on the hours spent at the Hub, or entry to events. 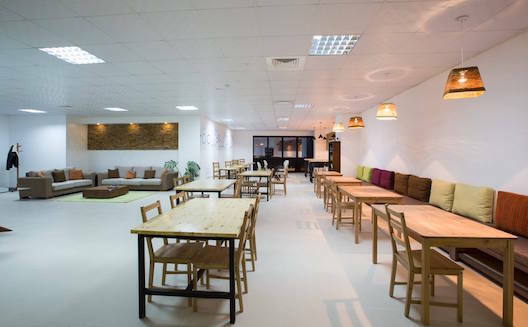 Launched in 2011, MAKE Business Hub was the go-to coworking café for startups and freelancers in Dubai. In 2013, the hub was acquired by CeeCee Holding, after which founder Leith Matthews left to launch group dinner concept Restronaut. 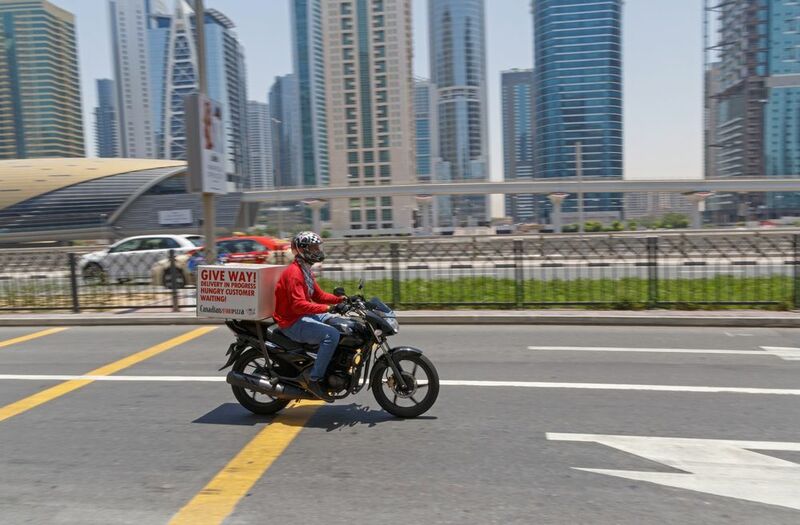 It has been closed for over a year but is expected to re-open at a new prominent location on Sheikh Zayed road. 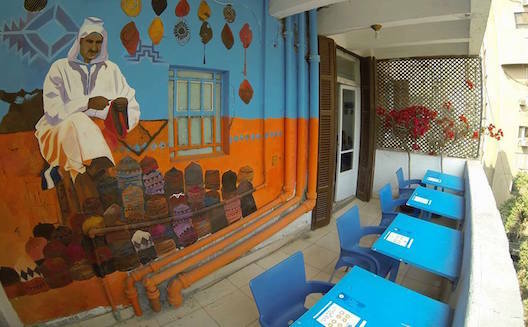 An extension to MAKE Business Hub, MAKE Art Cafe is open at the Alserkal Cultural Foundation in the Bastakia district. 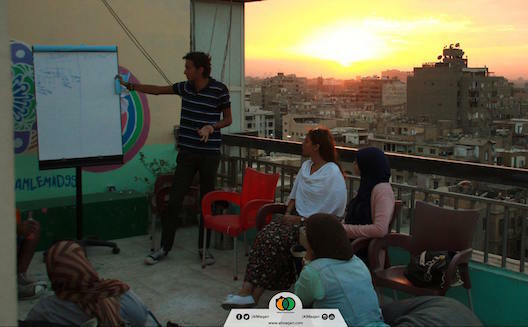 Launched in February 2015 by the Rowad Foundation, Block One is a non-profit that focuses on supporting entrepreneurship in Yemen and is open to all entrepreneurs. Entrepreneurs have to become members to use its services: coworking space, office hours, administrative assistance, training, seminars, and events. Membership is $50/month. Non-members working in the startup industry can come to work for $5 a day. The space has 18 fixed desk spaces and 37 floating desks, training and meeting rooms.